Attach one of external drives from the set to a Microsoft Windows or Linux server. The server must be added to the backup infrastructure. For more information, see Managing Servers. You can also attach the external hard drive to the backup server itself. In this case, the VM traffic will path through the backup server, which will produce additional workload on it. 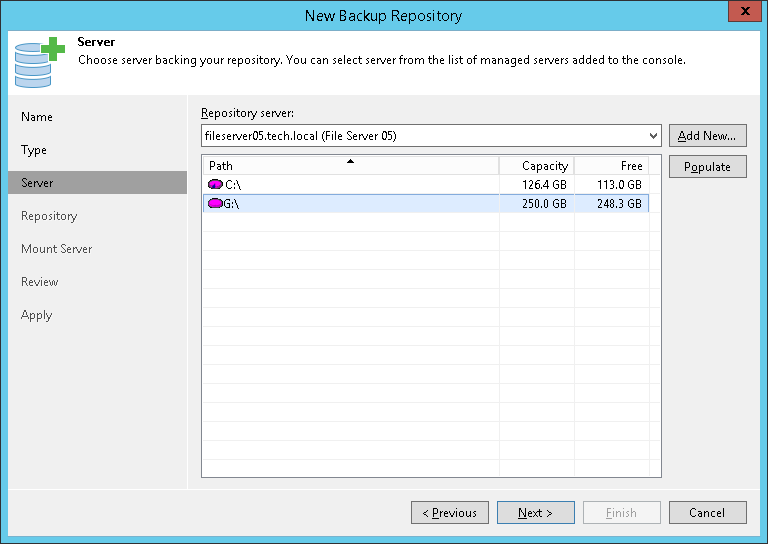 Launch the Add New Backup Repository wizard. At the Server step of the wizard, select the server to which the drive is attached. At the Repository step of the wizard, click Advanced and select the This repository is backed by rotated hard drives check box. 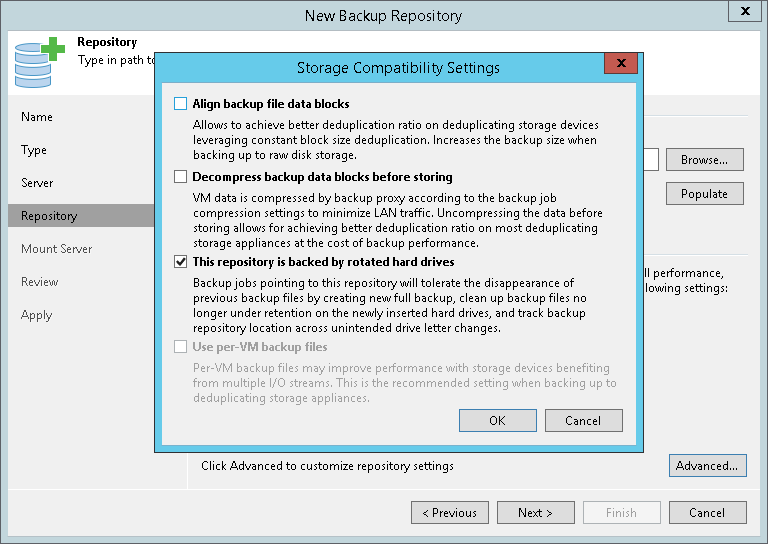 Configure other settings of the backup repository as required and finish working with the wizard.